In addition to supplying our clients with the products they need to run a successful business, we strive to give back to the community. TJ Hale and its employees strive to make our community a better place through fundraising, donations, volunteering, and more. Hundreds of homes have been rehabilitated or built by Milwaukee Habitat for Humanity. TJ Hale donates both employee time and materials to support their mission. 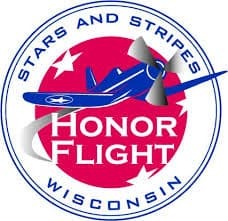 Stars and Stripes Honor Flight Inc. honors all veterans by flying WWII, Korean, and Vietnam war veterans as well as terminally ill veterans from other conflicts to Washington, DC to visit their memorials. We actively promote educational aspects of this mission in our schools and our communities. Portal Industries, Inc. is a not-for-profit agency that has been providing life-enriching services to adult citizens of Ozaukee County who have a developmental disability (Down Syndrome, Cerebral Palsy, Autism, Epilepsy, and others), physical disability, behavioral health concern or traumatic brain injury since 1965. The agency serves more than 200 individuals, providing meaningful work opportunities for those desiring the chance to work and earn a paycheck while gaining valuable experience and self-esteem. Portal has been doing sub-contract assembly work for TJ hale for more than a decade. Over the course of these many years, Portal participants have successfully assembled glass shelving units, and assembled parts bags. Their involvement in working on these projects gives the clients of Portal Industry a great sense of pride while building skills for their future endeavors. With a commitment to safety, respect, and compassion for individuals and families, Advocates of Ozaukee works to end domestic and sexual violence through education, prevention, and intervention services. TJ Hale and our employees donate holiday gifts for women and children to our Giving Tree each December. Individuals being served by Advocates can choose special and much needed items to give to their loved ones during the holidays. The American Cancer Society is on a mission to free the world from cancer. TJ Hale supports this mission through donations, volunteer work, and fund raising effort throughout the year. 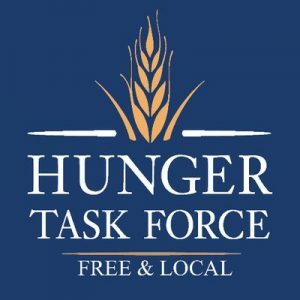 TJ Hale supports the Hunger Task Force in Wisconsin through local food drives and encouraging our employees to get involved.